No doubt? Was curled up in corner outside front door about 1 foot above concrete. Maybe 60° here, very inactive. Should I be expecting to see more? 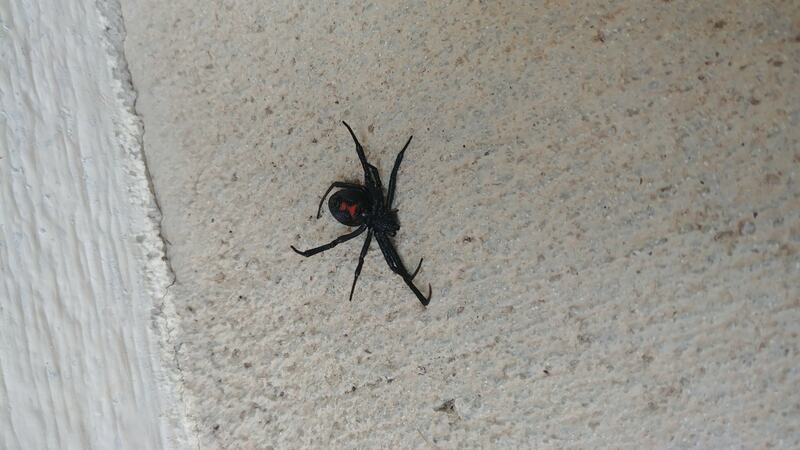 Most certainly is a black widow. They tend to like dark corners and tend to dry places that are out of the way, so use gloves if you are doing cleaning. They very much like cover, so woodpiles, cardboard boxes, small alcoves/corners, etc. You can spray for them if you’d like, I’d really recommend just spraying the entryways/windows to prevent any from entering the home. They’re very skittish and bites are very rare, but medically significant, so if you are bitten, head to the doctor/hospital as soon as possible. Hard to say on how many there could be though, unfortunately!